Shmupulations has posted a newly translated developer diary from the liner notes of the 1994 Rockman X Alph-Lyla album. Here, Inafune and his team candidly recall the crunch-time that went into the original Mega Man X, offering a small peek at the trials and tribulations of the then highly-anticipated SNES entry. "You see, in the Capcom Consumer division, the Rockman series was the most dreaded of the three “instant death” series (along with Ghosts and Goblins and any Disney game). If you were assigned it, you could kiss your freedom goodbye. And now it had come to me… “You can do it!”, I tried to tell myself, “and if it goes well, you’ll reap all the accolades!” Besides, the company pays for meals when you work overtime." "Wait a second. The wall… kicking the wall… !!! Yes, this could be just the new action I’ve been looking for for Rockman X! When you get pissed you can just kick the wall over and over! This is a revolutionary new system, I’m a geniussssssss!!!!" Yeah, some of the commentary is a bit exaggerated, but that doesn't take away from how insightful it all is. 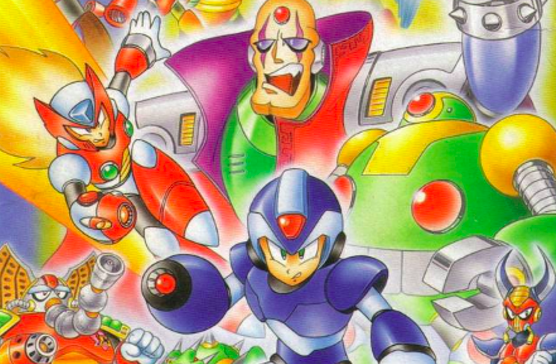 It's a rare look at the fun and sheer misery that went down during Mega Man X's final hours. Check it out at Shmupulations! Inafune: "...I’m a geniussssssss!!!!" <--- obviously Dr. Wily in disguise! This article make me remember about something else, anybody here got the Rockman X PC manual translation? (interested in Dr. Cain journal) I did searched through Zan Sidera and Marshmallow Man posts but still failed to allocated them (assumed they're existed in the first place because Zan mentioned it in one of his threads about the Mega Man X Timeline somewhere off the net). Thank you Zan, you also mentioned somewhere (I should post a link but I'm in a hurry, lack of internet time) about a sourcebook that stated a 10 years time frame between MM1 and MM8, is it possible that they (the source) mistaken it for the 10 years anniversary? Can you post that part of translation too? I don't remember the exact source, but it's highly likely that it referred to the real life time passage of the 10th anniversary. Off topic but Zero's hair looks like a fireball in that artwork. The next time I'm mad, I'm going to kick a wall. You may have a point. The CD notes uses a lot of pseudonyms, like the game's credits did. The translator has exchanged the planner credited as "INEMURYAR" with Keiji Inafune. Some sites like Moby Games and Wikipedia's Mega Man X (video game) page agree with this, others do not. Wiki credits the Mega Man X Official Complete Works by Udon when mentioning the name, but I don't remember that part being in the book. Does anyone know for sure?